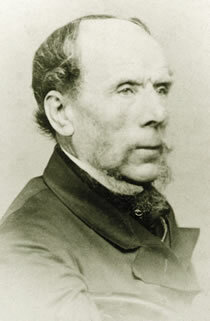 Thomas Sidney Cooper (1803-1902) was born in St. Peter's Street, Canterbury. From an early age he showed an aptitude and liking for drawing. In 1815 he went to work at a coach-builder's, and also assisted Mr. Doyle with scene-painting at the nearby Orange Street Theatre. In order to sever Cooper's links with the theatre, his mother arranged for him to stay with his uncle James Elvey in London, where he studied at the Royal Academy school before returning to Canterbury. In 1827, he went to the Continent and set himself up as a drawing master in Brussels, where he married Charlotte Pearson. Cooper was befriended by the artist Eugene Verboeckhoven, who encouraged him to become an animal painter in oils. Following the Belgian Revolution, he returned to England in 1831, rapidly establishing himself as a specialist cattle painter by exhibiting and gaining commissions from dealers and patrons, including Queen Victoria. Although continuing to be part of the London art world, in 1849, he moved to Vernon Holme, near his native city, where he lived with his young family, following the death of his first wife. Cooper was public spirited and a great benefactor to many charities particularly those in Canterbury, where he built the Theatre Royal. 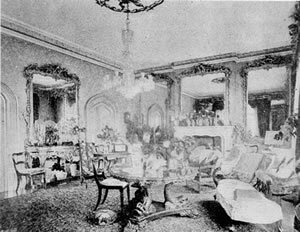 In 1868, the year after he was elected a Royal Academician, he opened his own art school, The Sidney Cooper Gallery of Art, in the house where he was born. 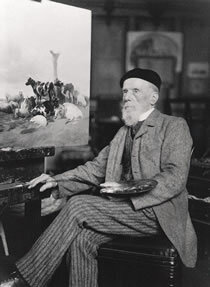 He exhibited at the Royal Academy every year from 1833 to 1902, establishing a record for continuous exhibiting. Sidney Cooper could have been featured in Samuel Smiles' Self Help, as his life is an example of the Victorian self-made man from a modest background, who by sheer hard work became a wealthy and successful artist with a prodigious output. His work continued to be in demand throughout his life and he became the 'grand old man of English art'.